Reduced aperture trial lens of 21mm in diameter, 232 pcs included. Power marks printed on single side of the handle. Cylinder and prism lens in square shape to prevent rotation. 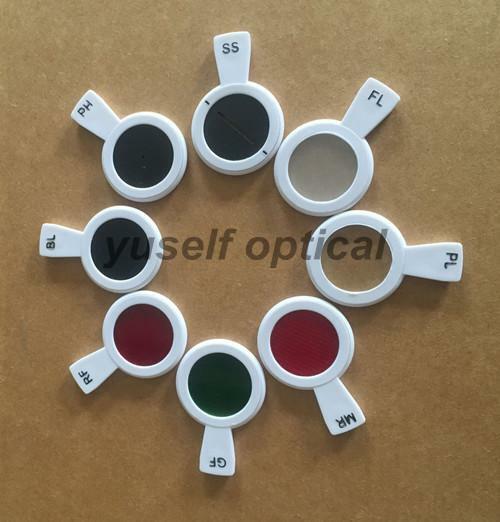 Trial lenses are fixed by ultrasound melt process, much more firmly. 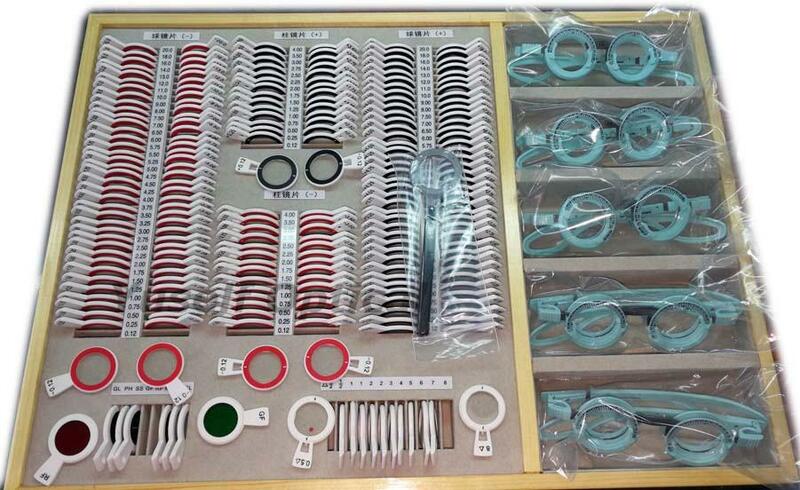 Together with a plastic cross cylinder 0.25, and 5pcs pediatric trial frames, which has fixed PD of 44/46/48/50/52mm.